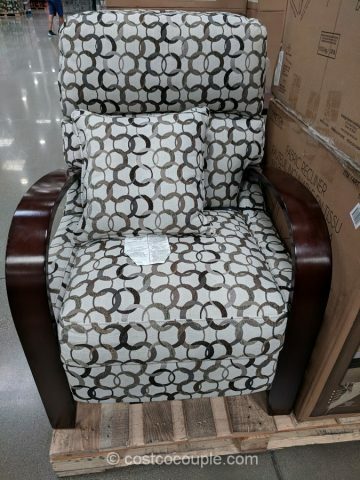 Push back and relax in the Synergy Home Fabric Recliner. 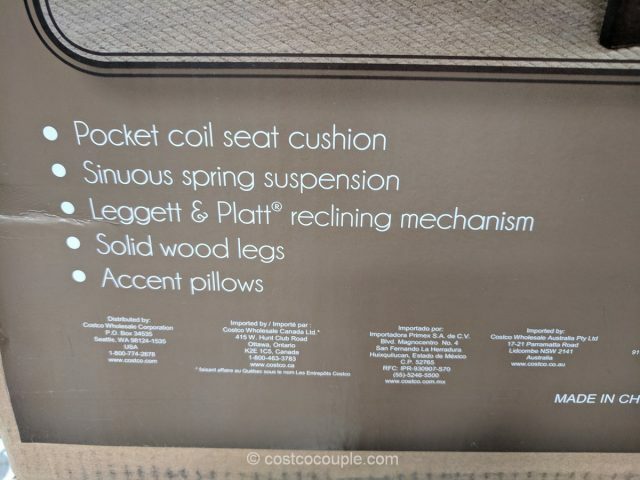 It features the Leggett and Platt reclining mechanism with pocket coil seat cushion and sinuous spring suspension. 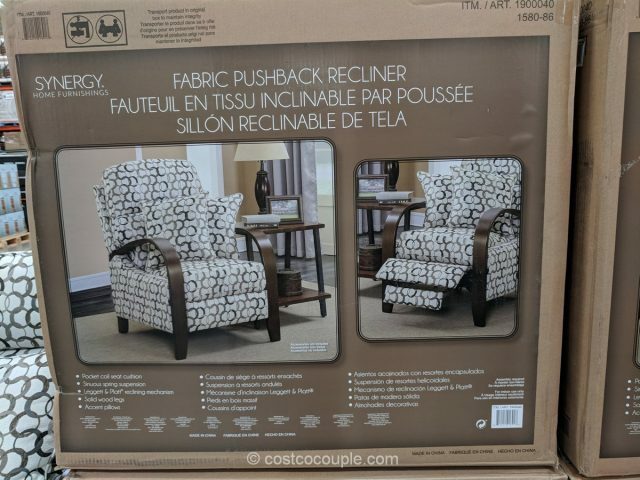 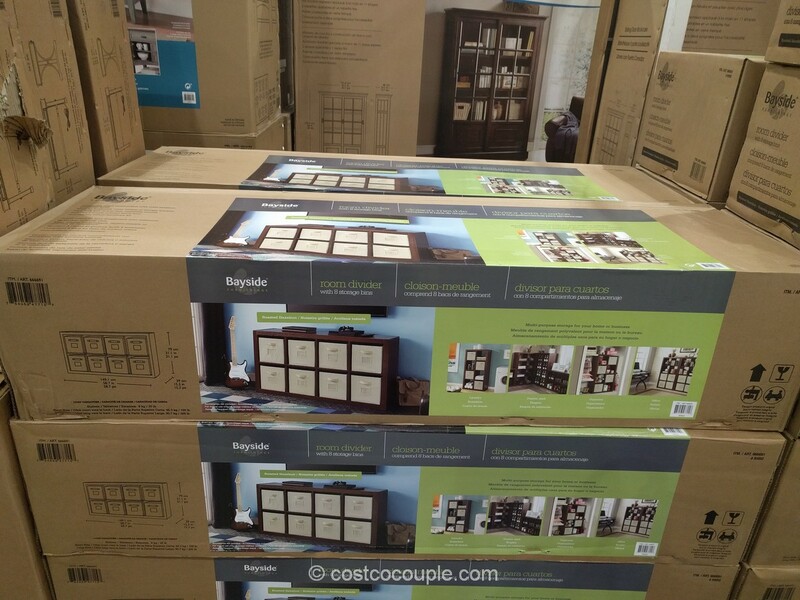 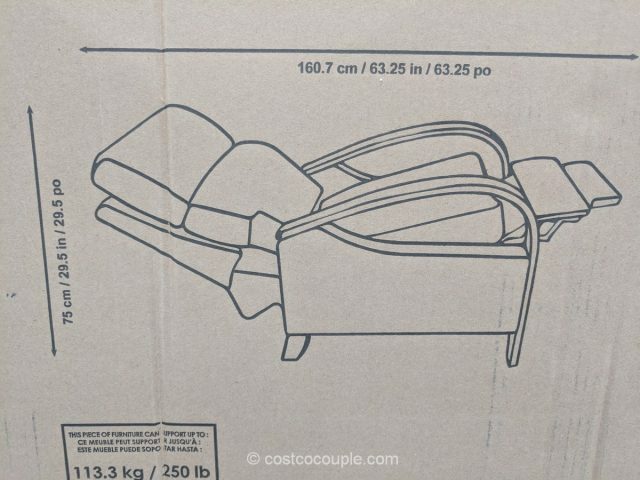 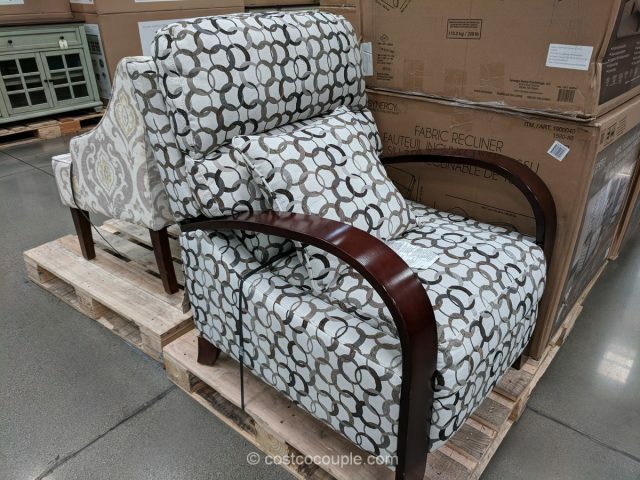 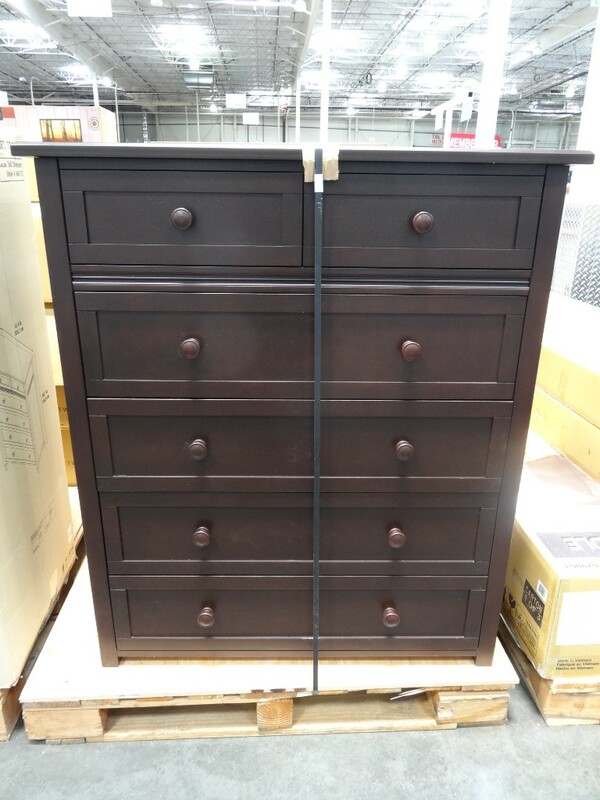 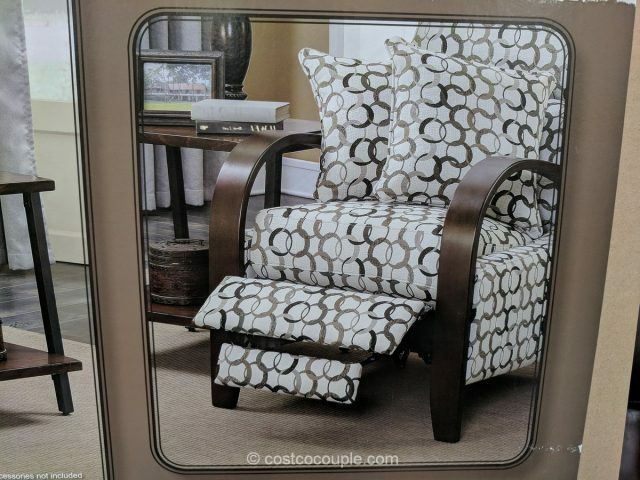 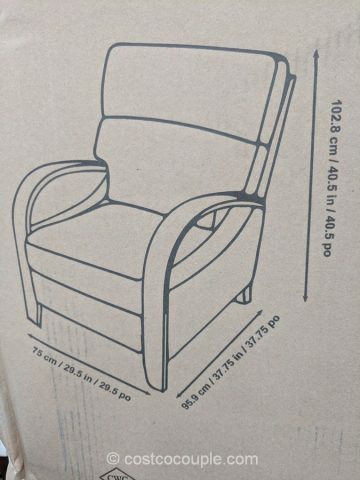 The recliner has solid wood legs and 2 accent pillows are included in the set. 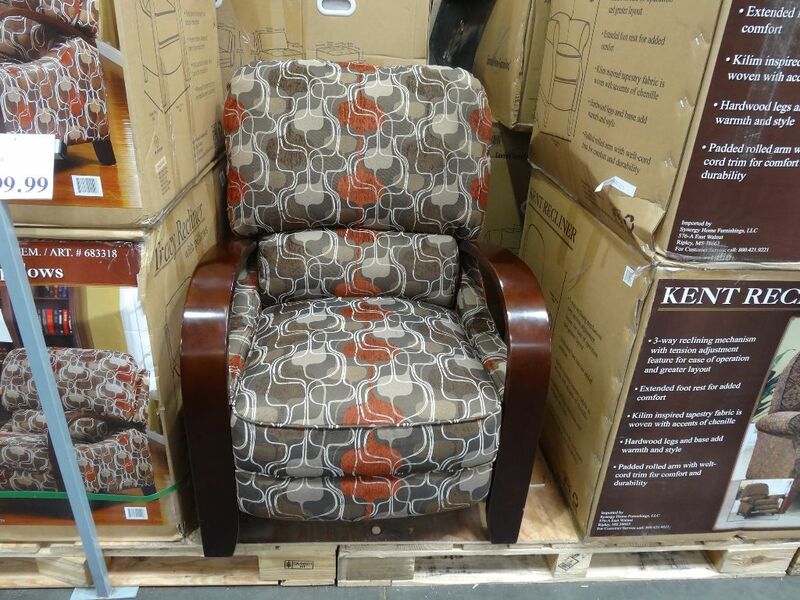 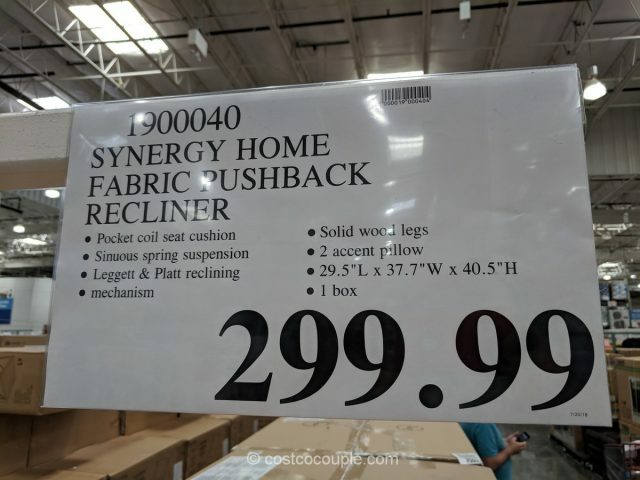 The Synergy Home Pushback Recliner is priced at $299.99.